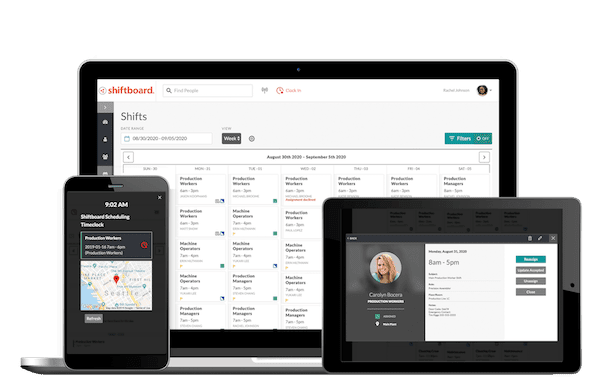 Shiftboard is built around the hourly workforce, where staff scheduling, real-time communication, and the ability to adjust quickly are at the core of day-to-day operations. Using Shiftboard to automate and improve hourly workforce operations, our customers can increase worker productivity, lower labor costs, deliver a higher quality of service and ensure compliance to labor laws, CBA’s and industry standards. The results can be dramatic, literally transforming how business operates. Enterprise workforce environments are complex. Whether it’s larger workforces, multiple locations, mission-critical services, or compliance requirements, Shiftboard manages this complexity through automation to help organizations avoid the chaos that often leads to costly errors and missed opportunities. 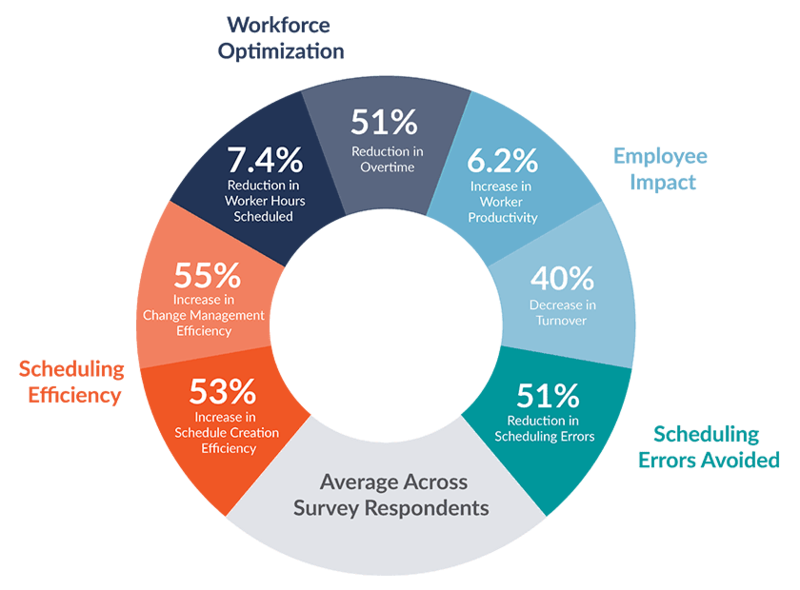 Though scheduling is at its core, Shiftboard offers other powerful workforce management essentials such as applicant tracking and onboarding, labor forecasting, and time & attendance. In addition to these tools, Shiftboard provides detailed reporting, analytics, and the ability to integrate with hundreds of systems. 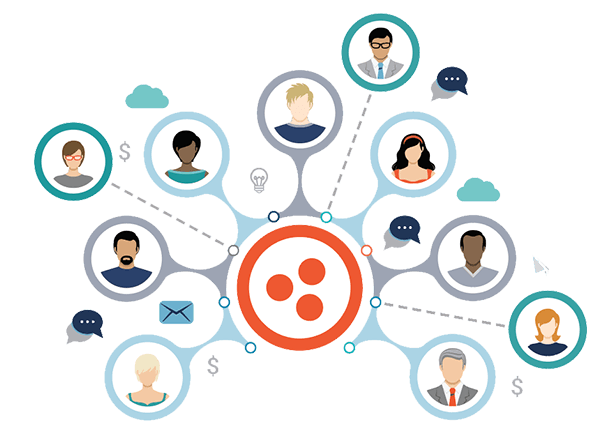 Shiftboard’s platform provides unrivaled flexibility to configure a scheduling solution tailor-fit to your organization’s needs. This highly configurable software, coupled with our deep understanding of scheduling and workforce management, ensures our customers experience dramatically lower labor costs, increased productivity, and improved worker retention. Shiftboard has over a decade of experience helping thousands of customers optimize their workforce scheduling operations. Our dedicated customer success team is consultative and eager to help at every stage – from implementation through daily use. We consider ourselves a business partner, and we’re deeply committed to ensuring our customers meet their business goals.